It’ll be some time yet before professional gambler and poker player Phil Ivey will be able to move forward with an appeal of the US District Court ruling that ordered he and a co-defendant to return $10.1 million of ill-gotten “edge sorting” mini-baccarat winnings to New Jersey’s Borgata casino. Earlier this month, presiding judge Noel L Hillman denied a motion by Ivey and his partner in the edge-sorting scheme, “Kelly” Cheung Yin Sin, to have summary judgment granted. Ivey and his counsel wanted the case finalized so it could then be appealed to a higher court. 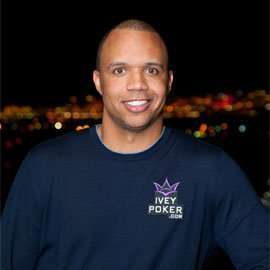 Ivey and his attorneys continue to argue that Ivey and Sun’s complex scheme wasn’t illegal under Nevada gaming law, and that the Borgata willing granted Ivey’s special requests — in effect, changing the rules of the game — in an attempt to win from Ivey at a game that under normal circumstances has a modest house edge. It all has to wait, though, according to Hillman. The reason why: Another part of the same case, involving Kansas City-based cardmaker Gemaco, remains unresolved. The Borgata’s parent company, Marina District Development Co., LLL, made Gemaco a co-defendant in the same 2014 filing in which Ivey and Sun in 2014. The claimed causes for action were separate, however, generally involving breach of contract in that the Borgata claimed the cards supplied by Gemaco were “defective,” in that they did not meet contractual specifications. Gemaco disagreed, and according to Hillman’s recent opinion on Ivey’s motion, he was nearing a separate summary judgment in the Gemaco portion of the case when the Ivey-Sun ruling was handed down. When Hillman did rule against Ivey and Sun, he denied summary judgments from both the Borgata and Gemaco to dismiss this other part of the case. Later, after Ivey’s summary-judgment motion, the Borgata’s attorneys backed that as well, except for the portion where Ivey and Sun asked for a stay regarding the monetary settlement (paying back the $10.13 million) pending appeal. (5) miscellaneous factors such as delay, economic and solvency considerations, shortening the time of trial, frivolity of competing claims, expense, and the like. Points (4) and (5) are interesting as they relate specifically to this case. The Gemaco part of the case always seemed to be a deep-pockets-targeting add-on for the Borgata, just in case the casino was unable to collect from Ivey. So the Borgata can either dismiss its claims against Gemaco, reach an out-of-court settlement, or continue with the court battle on that part of the case. As for Ivey, he’s been the subject of quite a bit of talk on other poker fronts in recent days. He’s now eligible for the first time, at age 40, for election into the Poker Hall of Fame, though he hasn’t been seen to date at the WSOP. 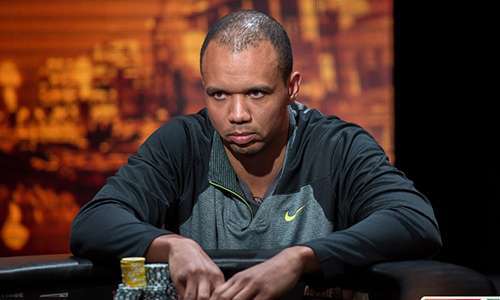 There has been chatter that Ivey might not want to show at the WSOP and play pricy tournaments because it would hurt any claims he might make that he was unable to refund the $10.13 million, if he indeed lost the case on appeal. However, Ivey’s been sighted of late in Bobby’s Room, playing for significantly higher cash-game stakes than that of any WSOP tourney buy-in. So that pauper argument might be moot before it ever gets raised in court. We’ll return to this story when the next round of developments occurs.